Arabia’s vast Rub Al Khali desert is one of the world’s most extreme and inhospitable environments, and in 1930 the race was on to become the first European to cross what is the biggest sand desert on earth. 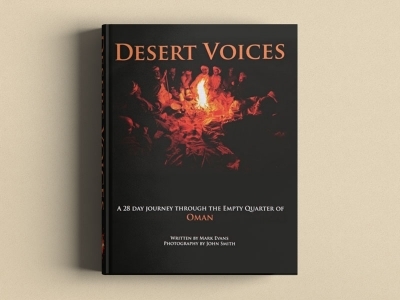 85 years later, another team of Omanis took on the challenge. However carefully you plan an expedition, one always seems to start completely unfit and exhausted by travel and last minute issues. A 1,700 km journey around the coastline of Oman, from Musandam to Yemen, was no different, but ultimately proved to be an extraordinary experience, made so as much by the wonderfully hospitable Omani people and abundant wildlife as by the ever changing landscape. 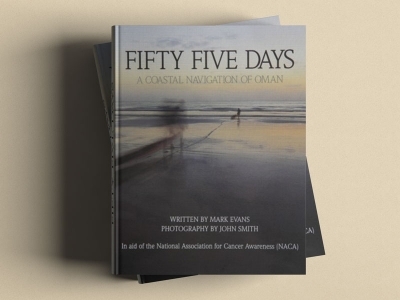 From howling wolves, tsunamis, hump backed whales and terrifying surf, the book chronicles not only the daily experiences of Mark in the kayak, but also of wilderness photographer John Smith, manfully trying to follow him in a Land Rover, racking up 17,000 km of often solo, off road driving. In 2005, Kofi Annan stood on a bridge over the Bosphorus and announced the creation of the United Nations Alliance of Civilisations, to counter what he could see as the polarisation of cultures, a situation that has markedly increased in the subsequent decade. 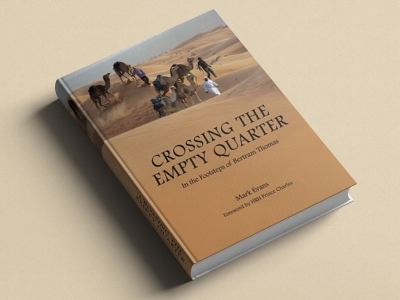 Inspired by his positive experiences living in the Middle East for more than 20 years, Mark set out to create the opportunity for young opinion formers from around the world to experience the reality of Arabia first hand, to return to their communities able to make informed and balanced decisions based on face to face experiences. In 2006, the Connecting Cultures project was born, and today is Oman’s gift to UNESCO and the UNAOC. Each year, three five day Connecting Cultures journeys for 54 global young leaders take place at the University of the Desert. 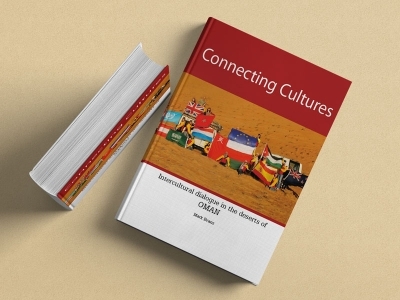 This lavishly illustrated book covers the development of Connecting Cultures, and captures the feedback from some of the young participants. Desert explorer Wilfred Thesiger described his 1977 return to Abu Dhabi as his ‘Arabian nightmare’, and was convinced that the arrival of the internal combustion engine in the region would signal the end of the noble way of life of the Bedouin people he so revered.